We explain what right, acute, obtuse and reflex angles are and how children are taught about different angles through KS1 and KS2. A right angle is an angle that measures 90˚. It is also known as a 'quarter turn' because it is a quarter of a full turn, which measures 360˚. 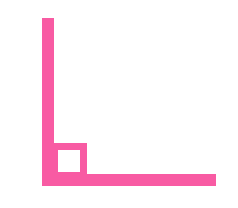 A right angle is represented by a small square inside the angle. An acute angle is one that measures LESS than 90˚. 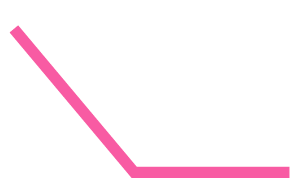 An obtuse angle is one that measures between 90˚ and 180˚. A reflex angle is an angle that measures between 180˚ and 360˚. What do children learn about angles in KS1? Children start learning the language of direction in Year 1, when they talk about quarter, half and full turns. Teachers encourage children to learn about turns by getting them to stand up and make quarter, half and full turns around the classroom. They may also give children a small figurine or doll for them to place on a picture and practise making various turns. It is vital that children understand the concept of these turns, as it is the foundation for learning about angles. By the end of Year 2, they should be able to talk about these turns, and to explain which direction they are going in: clockwise or anti-clockwise. During Year 2, children will also learn to tell the time to the quarter hour, so they should be aware of the direction in which the hands on the clock move. 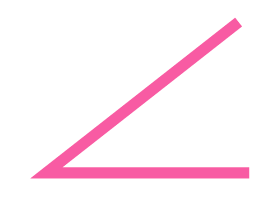 What do children learn about angles in KS3? In Year 3, children will need to recognise right angles and to know that two right angles makes a half turn, three make three-quarters of turn and four a complete turn. They need to identify whether angles are greater than or less than a right angle. In Year 4, children need to know about acute and obtuse angles. In Year 5, children start using a protractor to measure acute, obtuse and reflex angles. Children also need to calculate angles around a point, on a straight line and within 90°. Children in Year 6 will need to rotate shapes through 90° or 180°. They will need to use a protractor to measure and draw angles and calculate angles in a triangle or around a point as well as finding unknown angles in triangles, quadrilaterals and regular polygons. 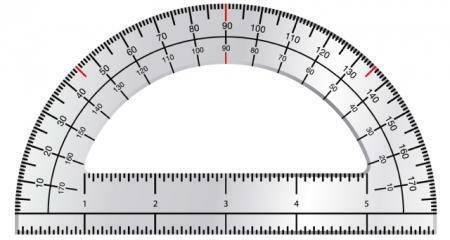 Teachers usually spend a significant amount of time teaching children how to use a protractor, as they often find this difficult. Protractors are marked from 0˚ to 180˚ from left to right, but also from right to left, which can take some getting used to! 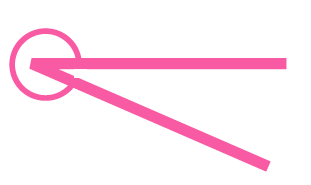 Children are shown again that two right angles make up a straight line and since 90˚ x 2 = 180˚, this is the measurement for a straight line. 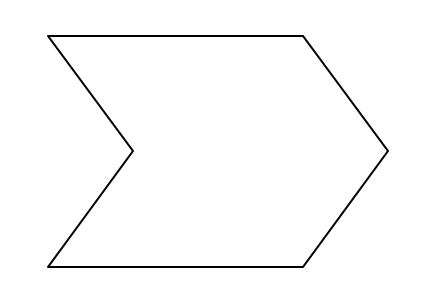 Which of these shapes has one obtuse angle and two acute angles? Look at the inside angles of this shape. Mark the acute angles in red, the obtuse angles in blue and the reflex angle in green. To help your child put their knowledge of shapes and angles into practice download angles worksheets and other geometry worksheets.